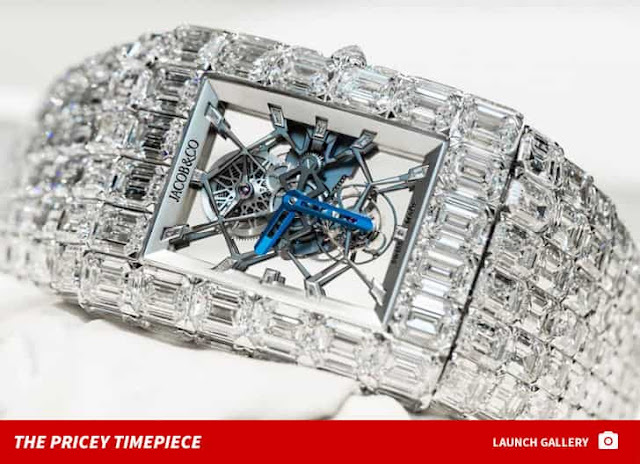 May Weather says he just bought a brand new diamond watch -- WITH AN $18 MILLION PRICE TAG!! Floyd Mayweather the famous boxer has outdone himself in terms of luxurious purchases, showing off his latest purchase to fans: The Billionaire Watch. The jaw-dropping watch, designed by Jacob and Co., cost the former boxing champion $18 million and is made of 18-carat white gold, 260 carats of emerald-cut diamonds and individual stones up to three carats. "This my new timepiece, it's called 'The Billionaire Watch,'" Floyd says ... "If you don't know about it, google Billionaire Watch." The watch is super famous -- made by Jacob & Co. back in 2015, it features 239 emerald-cut baguette diamond stones, each weighing up to 3 carats. Jacob & Co. describes the watch as a unique piece that "truly epitomizes the brand’s passion for breaking boundaries." "The Billionaire is a dazzling representation of the courageous and rebellious Jacob & Co. spirit." 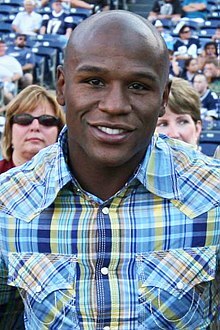 Floyd says he bought the watch from a Japanese jeweler named Tadashi Fukushima -- and says he'll never buy any jewelry from anyone else ever again.